Interested in investing in Bitcoin? Join the club. Despite its volatility, Bitcoin is luring in record numbers of new investors with potentially huge rewards. Consequently, cryptocurrency exchanges are overwhelmed. Recently, Coinbase reported it now has over 12 million users – 100,000 of whom were added within 24 hours. Bitcoin’s market cap is also soaring and has grown past $130 billion, making it worth more than investment bank Goldman Sachs, energy giant BP, and eBay. No doubt about it, there are a lot of new investors rushing in, all hoping to get a piece of the crypto action. On the sidelines, the media is fuels the fire, with articles featuring Bitcoin bulls speculating on ever-soaring Bitcoin prices and stories of teenage Bitcoin millionaires. But don’t let all the hype cloud your vision – if you want to invest in Bitcoin, you’ll need to go in with eyes wide open. And that starts with knowing the fundamentals before you buy a single Satoshi. Here’s a run-down of 7 critical things that every new Bitcoin investor must know! So you want to invest in Bitcoin. But why? Is it because you support the vision of a permission-less, border-less money for the entire world? Or maybe you want a long-term hedge against falling fiat currencies. Perhaps you understand and like the technology or maybe you believe digital currencies are here to stay and Bitcoin has first-mover advantage. Or, like many new investors joining the Bitcoin fray, you see it as a promising portfolio diversifier. Those are all good reasons. But there are some not-so-good reasons that also motivate investors. Like, FOMO (fear of missing out). You keep reading about the price of Bitcoin going up-up-and-up and you hear about your colleagues talking about how much money they’ve made and you just don’t want to miss out. Not when there’s quick money to be made. The truth is that there are good whys and bad whys. Be honest with yourself and the real whys behind why you want to invest in Bitcoin. ‘Cause it’s the good whys that are going to sustain you through the day-to-day rollercoaster of Bitcoin prices and the bad whys that are going to have you buying high and selling low. Duh, you say – it’s right in the name: Bitcoin. Cryptocurrency. But the way things are going right now don’t give that impression as nearly all media coverage is focused on trading cryptocurrencies like Bitcoin. Trading, like we do with other securities like stocks. Which leads to some confusion. But one thing that must be clear to you before you invest in Bitcoin is what it actually is – and what it’s not. First and foremost, Bitcoin is not a company or a stock. It’s a currency. In fact, it’s the world’s first decentralized digital currency that aims to become a non-manipulatable money for the whole world, ultimately replacing the Dollar, the Euro, the Ruble and so on to become the first free world currency. By investing in Bitcoin, you are essentially buying the currency. So in this context, what does investing in Bitcoin mean? Ideologically, it means to have a share in this venture. You’re betting on the success of a decentralized, permission-free, borderless revolution of money. At the same time, it comes with financial benefits since if Bitcoin does ever replace central banks or go on to become the dominant currency worldwide, the value of one Bitcoin will skyrocket. Bitcoin may be a currency. But it certainly doesn’t trade like one. Here’s what we mean: You wouldn’t typically invest in a large of share of Euros or Japanese Yen and hold it, hoping that it appreciates in value. That’s because state-sponsored, fiat currencies move with inflation while the whole point of long-term investing is to beat inflation. So traditional currencies are rarely used to actually generate returns. But Bitcoin is different. It may be a currency but it differentiates itself critically from government-controlled currency with a unique feature: there’s a cap on the number of coins that will ever be in circulation. Whereas central banks like the Federal Reserve may be able to print more money at will according to their countries’ economic policies, Bitcoin is capped at a maximum of 21 million coins. And that’s all there will ever be. Bitcoin is a currency. But it’s unlike any currency the world has currently known. Bitcoin trades like a commodity and has even been classed as such in countries like the US and South Korea but again, it doesn’t quite fit comfortably there along with gold, oil and coffee. Which brings us to an uncomfortable – or wildly exciting – truth: There is no accurate way to value a Bitcoin’s worth. And even more unsettling – there is virtually no way to tell what they’ll eventually be worth. If that sort of uncertainty makes your stomach sink, you may want to reconsider investing in Bitcoin. But if instead, you find yourself reveling in the possibility of what could be – a borderless world currency that’s neither backed by a commodity like gold nor by a powerful central institution like a government – then read on. One piece of Bitcoin investment advice that’s repeated everywhere is: Only invest what you can afford to lose. And sure, it’s not as fun and devil-may-care as betting it all – like this Dutch family – but it is sane, wise advice. Especially if you like to sleep at night. This is not necessarily because Bitcoin may suffer a precipitous crash or because it may be at the peak of a much-talked-about bubble. But because the truth of it is that Bitcoin – and cryptocurrencies in general – are extremely volatile. It’s a new market. It’s a tiny market. And it’s very prone to speculation. That results in price fluctuations that are enough to turn the strongest stomachs, like when it dropped from $867 to $439 (a 49% drop) in 2014. Or when it fell from near $3,000 to just $1,869 (a 36% drop) more recently in the summer of 2017. Viewed over the course of its history, Bitcoins prices have unsteadily – but surely – lurched upwards. But what’s happened in the past is no guarantee of what will happen in the future. And even if you’re wildly bullish on Bitcoin, it’s wise to only invest money that you won’t be needing. ‘Cause after all, you don’t want to be the guy that sold his Bitcoin during a bad dip to meet his mortgage payment. So be smart and invest only what you can afford to lose – the money that you are sure you won’t be needing in the near future. Trust us when we say this will help you weather the day-to-day ups and downs. When it comes to the risks of investing in Bitcoin – it’s not just volatility. Cryptocurrency is a new concept that most of us are neither familiar nor comfortable with and as such, it can lead to some unique risks. Keys are irreplaceable. Unlike your house key or car key – if you lose your Bitcoin private key, you lose your Bitcoin. Without the private key, Bitcoin are irretrievable. So plan to get very intimately acquainted with the best practices for safekeeping your Bitcoin private key(s). Wallets matter. Unlike cash, Bitcoin can’t be stored under your mattress. You’ll need a wallet to keep your Bitcoin in. And the type of Bitcoin wallet you choose matters a lot when it comes to security – some are a lot more secure than others. Read the full guide to Bitcoin wallets to choose the best one for your precious coin. Exchanges aren’t the safest. Everyone knows about the Mt. Gox hack. But since then, there have been so many more. Bitcoin exchanges that store users’ Bitcoin are like a honeypot to hackers and there’s no guarantee that even reputable exchanges won’t be hacked sometime in the future. To keep your coins safe, store them in your own private wallet. Scams abound. 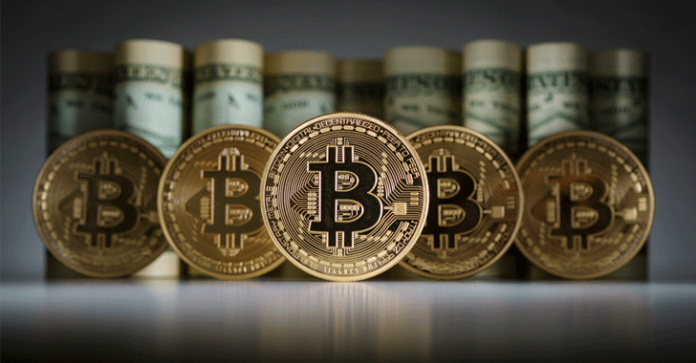 There’s a lot of money going into Bitcoin right now, which has drawn the attention of many unsavory folk running everything from phishing scams to gain access to your Bitcoin accounts to Bitcoin investment sites that promise the world and leave you with depleted coins. Make sure to read up on common Bitcoin scams so you can steer clear. As with anything involving money and investment, there is going to be risk. And while you may not be able to do anything about the volatility in the Bitcoin market, you can definitely do your part to avoid the risks above. The cryptocurrency scene of today is often compared to the dot-com boom (and bust) or the 90s. And like those heady dot-com days, no one knows what the future holds. In general, we know that the blockchain technology that Bitcoin is based on is revolutionary, like the Internet was and continues to be. But what we don’t know is specifically which of the players will come out on top. When NASDAQ fell from a high of 5,132 to just 1,470, everyone suffered. Companies that were valued at billions when they IPO’d went to zero. Webvan and Boo.com went bust. Pets.com lost $147 million in the first nine months of 2000. Cisco lost 86% of its market cap. Amazon stock fell from $107 to $7. When the bubble burst, everything went under for awhile – but as you already know, several companies made it out alive and are doing even better now than they did during the boom. It’s the same with Bitcoin. Most of us are convinced that the blockchain technology behind Bitcoin is here to stay. 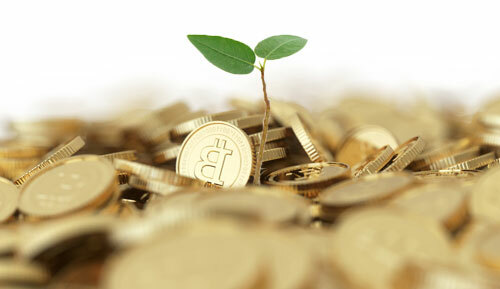 But no one can be sure how many or which of the various cryptocurrencies its spawned will survive and thrive. Will it be first-mover Bitcoin? Will it be its main competitor coin Ethereum? Could it be Litecoin or a fork of Bitcoin? Or will a contender that’s not even yet created surpass Bitcoin – like Facebook did to MySpace? The truth is that nobody knows. So keep your eyes open.